This is 25 ACP Blazer 50gr. Full Metal Jacket Ammo. 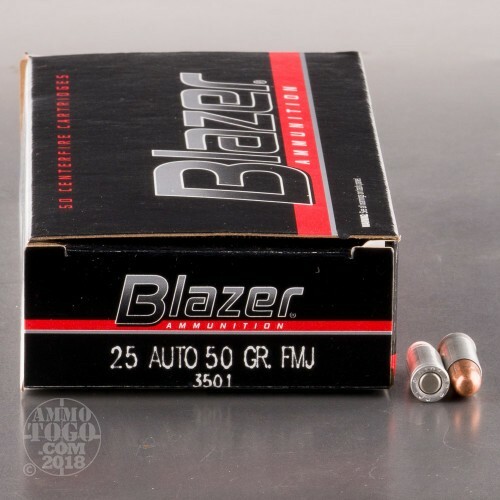 Blazer ammunition delivers the ballistic uniformity, accuracy, reliablity and power of service ammunition, at a substantial savings. The savings are in the shell case. It's made from a high-strength aluminum alloy, like that used in 30mm anti-tank cannon rounds. 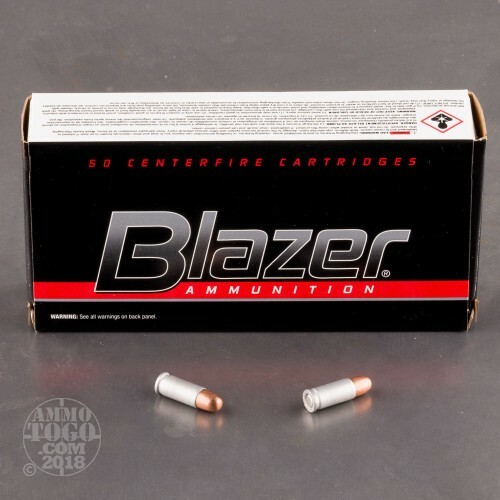 Give it a shot—you'll see why law enforcement agencies across America trust their training ammunition needs to Blazer ammunition. 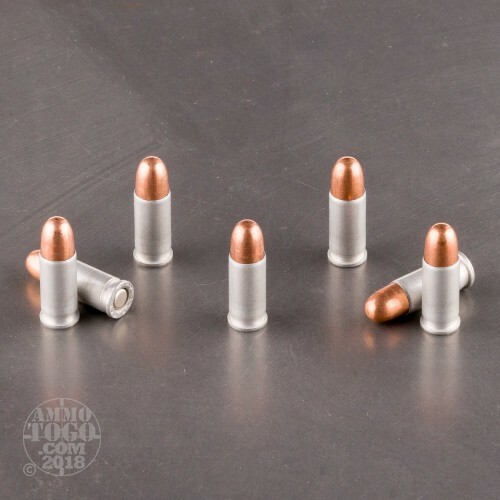 This ammo is aluminum cased, boxer primed, and non-corrosive. It comes packed in 50rd. boxes. Muzzle Velocity: 755 fps.